Hello, friends! 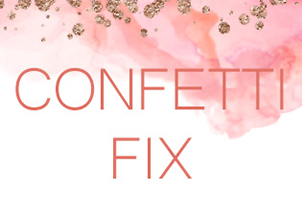 This blog post is extra, extra special. 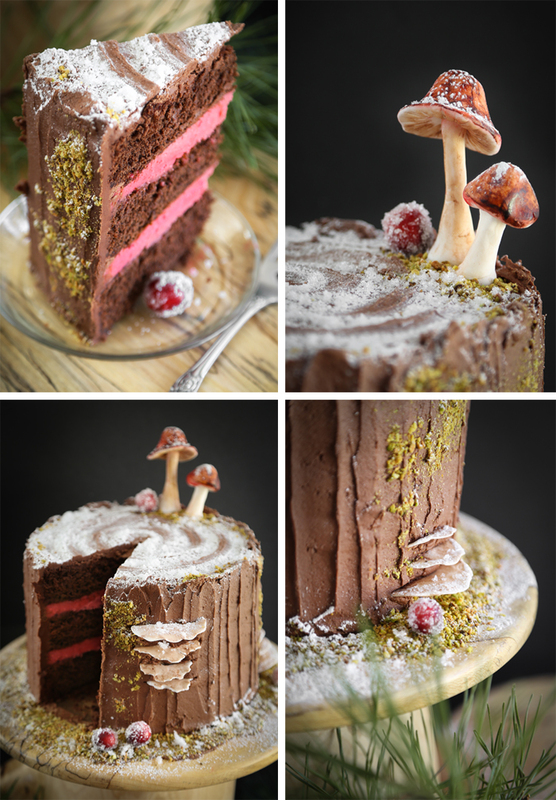 Not only do I have a delicious mulled wine chocolate cake recipe for you (all fancied up Bûche de Noël style with black cherry buttercream filling -swoon) , I also have a really fun, unique giveaway. I have two friends who are absolutely inspiring and brave and are willing to follow their dreams wherever they may lead. My friend Matt Tackett is a talented woodworker, and he and his wife Amy are in the process of opening an art gallery in London, Kentucky. First of all, wow. What an undertaking! I am so stinkin' proud of these two. Second, if you've been reading this blog for very long, then you know I've spent a good portion of my life working in art galleries and supporting local artists. That's what I hope to do today, too. Please look at the cutting board above. Yes, cut-ting board. I'd probably use it as a serving board because it's so beautiful, but Matt has assured me that his cutting boards are extremely durable (so, chop-chop!). They're made from end grain construction which is best for your knife edge and they've been described as "self-healing" in that the small cuts on the surface of the board may close back up to some degree. These beauties are created from locally sourced hardwoods such as maple, walnut and cherry and each is one of a kind. And hey! You can win the one in the picture above! To enter: Leave a comment below telling me what you'd prepare or serve on this beautiful wood board. For a second chance to win, visit Matt's etsy shop or online shop and leave a second comment to let me know what piece you'd love to have (besides this one, obvi). One winner will receive the beautiful end grain cutting board (approximately 9"x10") valued at $70. The contest is open to US residents. Giveaway ends 12/12. Winner will be contacted via email. Matt also made the gorgeous spalted maple two-tier cake stand on which my Stump de Noël is displayed, so you can see that his talents are varied. He is currently taking commissions and special orders, too! When the bricks-and-mortar gallery opens (you can follow thier progress on Facebook) you can browse his work in person if you happen to live in - or be passing through - Kentucky. 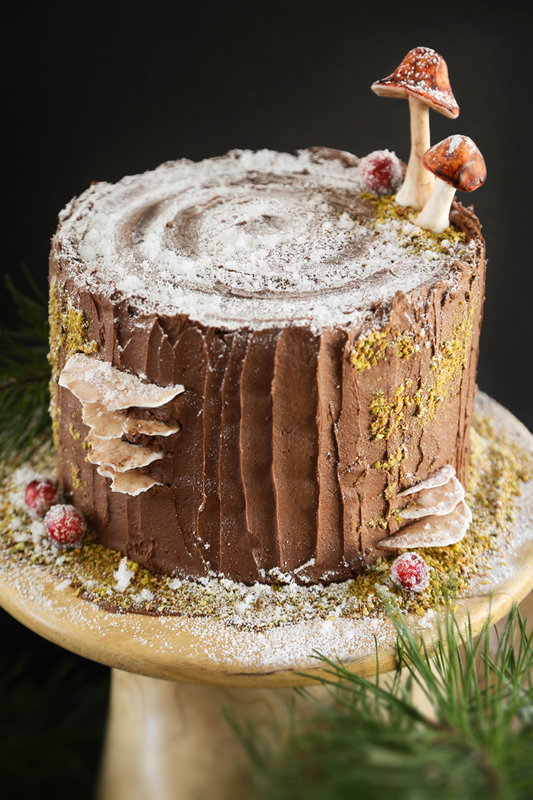 Stump de Noël is just as festive as the Bûche de Noël, but a little easier to make; the former is a frosted layer cake and the latter is a sponge roll. Sponge rolls can be daunting if you've never attempted one (I have a step-by-step guide from years ago here), so I can see the appeal of the ol' stump cake. The organic nature of Stump de Noël excuses a multitude of sins. If your cake leans to one side, that's okay. Trees do not grow perfectly straight. Frosting uneven? Well, tree bark isn't even, either. I hope the step photos above will help those attempting their own version; the process if fairly simple. First, fill and stack the cakes. Then, cover the cake in frosting and make striations in the frosting with an offset spatula. 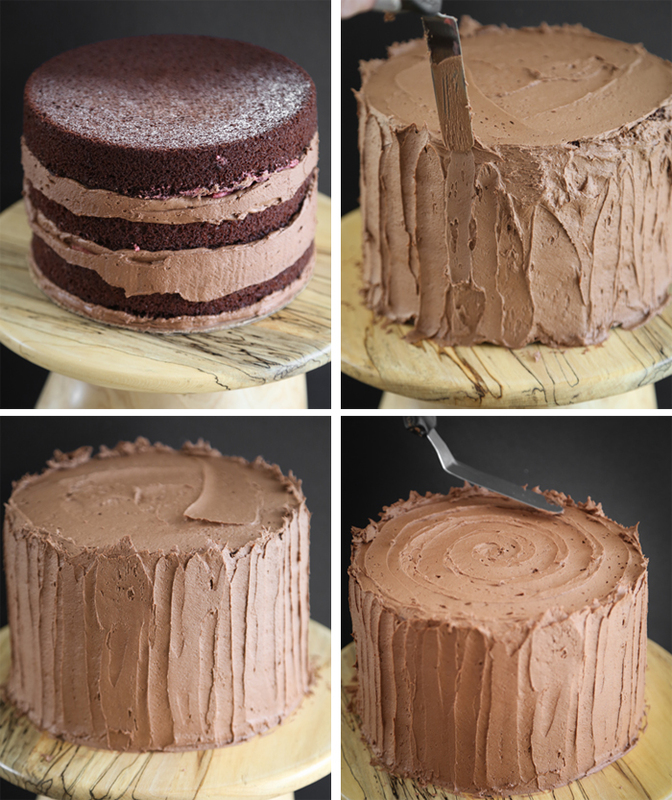 When the cake looks good around the edges, create a spiral on top of the cake using the tip of an offset spatula. I think the cake looks pretty good at this stage! The only specialty decorating element I used for this cake was gum paste. You can find it at most any craft store that stocks baking supplies. Just roll out a bit of the paste to 1/4 inch and cut a few sizes of circles (mine were 2.5-ish inches and smaller). 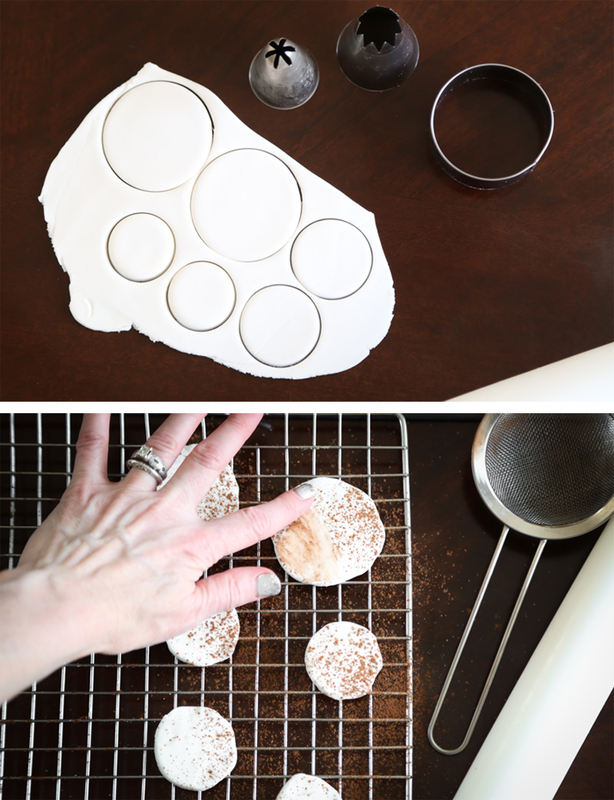 Pinch the edges of the circles thinner with your fingers so they look slightly frilled and jagged, and then dust them with cocoa powder. Smudge the powder with your fingers and then allow them to dry until they are rigid. 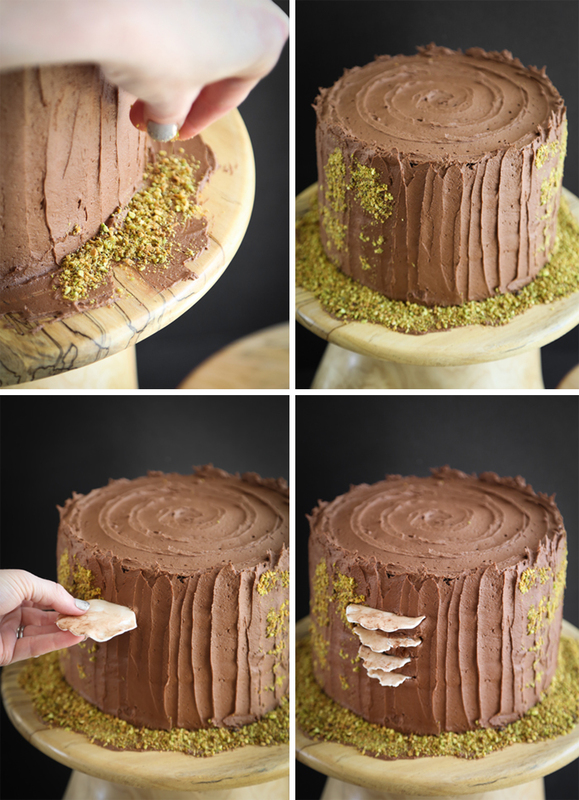 I sprinkled ground pistachios around the cake and pressed some onto the sides of the cake to mimic moss. I think looks fairly authentic. 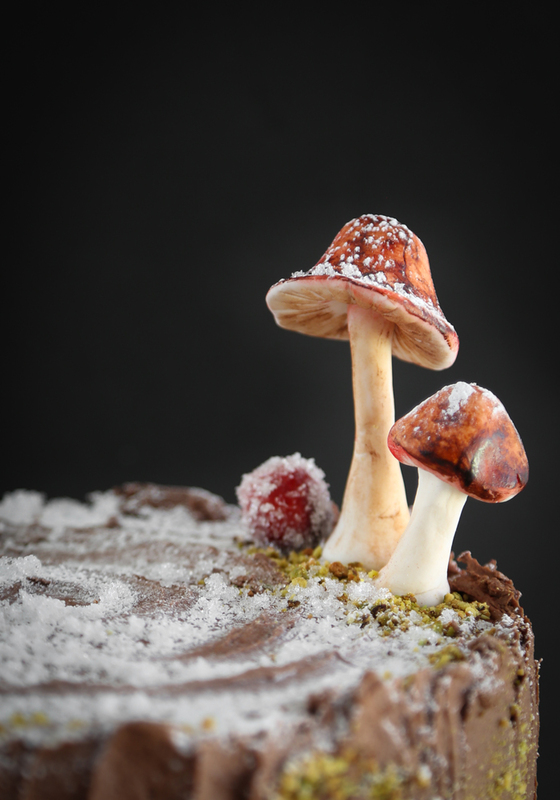 When the gum paste 'mushrooms' are dry, you can press them into the sides of the cake. I used a small knife to make slits in the sides of the cake so the mushrooms would meet little resistance when I pushed them in - gum paste can be delicate! 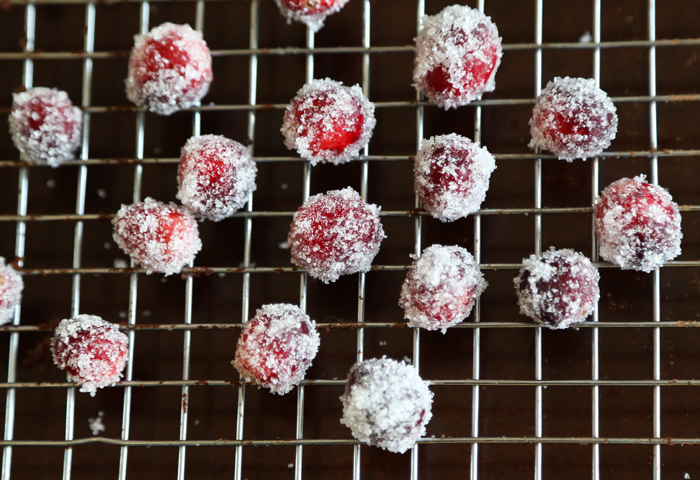 I made some glittering cranberries for garnish. 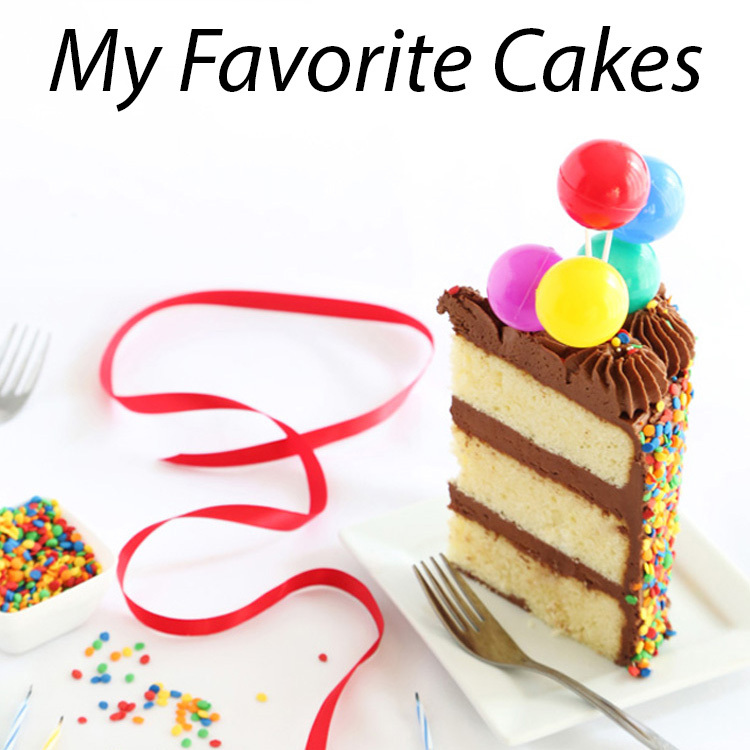 You can find the instructions to make those here, along with a fantastic orange chiffon cake recipe. The two mushrooms on top were made of more gum paste. I just shaped some of the paste around a lollipop stick, and then affixed the 'mushroom cap' with a dot of corn syrup. After that, I lightly brushed them with cocoa powder and painted the tops with food color diluted in clear vanilla extract. You can see more of Matt's gorgeous woodworking here (along with some cups of mulled wine -yum!). I dusted the entire cake with some snow (powdered sugar) and that provided a bit of wintry atmosphere. 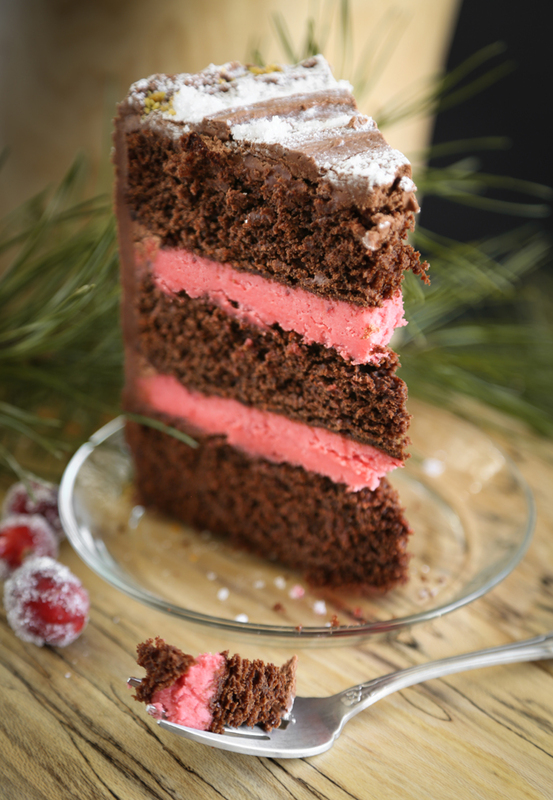 The black cherry buttercream provides a tart contrast to the lightly spiced chocolate cake layers. I really enjoyed making this cake - and eating it! I hope you do too. Make the cake layers: Coat three 8-inch round cake pans with flour-based baking spray (such as Baker’s Joy brand), or grease and flour the pans. Melt both chocolates in a small saucepan over low heat, stirring until smooth; set aside. Beat butter at medium speed with an electric mixer until creamy. Gradually add sugar, beating until light and fluffy. Add eggs, 1 at a time, beating just until yellow disappears after each addition. Stir in melted chocolate and vanilla. Sift together flour and next 6 ingredients; add to butter mixture alternately with buttermilk, beating at low speed just until blended, beginning and ending with the flour mixture. Stir in steaming red wine. The batter will thin with this addition. Pour batter evenly into the prepared pans. Bake at 350° for 25 to 30 minutes or until a wooden pick inserted in center comes out clean. Cool the cakes in the pans on wire racks 10 minutes; remove from pans, and cool completely on wire racks. Make the black cherry buttercream: Beat the butter in an electric mixer until creamy. Beat in the preserves and whip until well combined. Beat in the powdered sugar. The frosting should be a pinkish-mauve, to intensify the color add a small amount of red food color. Beat on high speed until light and fluffy. Place 1 cake layer on a serving plate; spread top with half of the black cherry buttercream (which is no shy amount, by the way). Top with second cake layer; spread top with second half of black cherry buttercream. Top with remaining cake layer. Make the chocolate frosting: Beat the butter in an electric mixer until creamy. Sift in the cocoa powder and powdered sugar. Beat until light and fluffy. Add in the melted chocolate and beat until well combined. Cover the entire cake with the chocolate frosting. The frosting will darken as it stands. Store the cake covered in the refrigerator. Bring to room temperature before serving. To make the Stump de Noel, add 1/2 cup ground pistachios, 1/2 cup whole cranberries and cake decorator's gum paste to your grocery list. Follow the directions and step photos as outlined in the blog post. Your mushrooms are so incredibly lifelike and gorgeous that I wasn't sure they weren't real mushrooms. This is a work of art (and so is the beautiful cutting board). Good luck to Matt and Amy! I think this is my year for a Buche de Noel.... Thanks for this fabulous giveaway. Oh. My. Gosh. This is the most amazing, gorgeous Buche de Noel I've ever laid eyes on! I am awestruck! And the fact that it's got mulled wine in it, and that black cherry buttercream?! Genius! Amazing work, as always. And I think the board would be wonderful for a cheese plate! I went to Matt's etsy, and I love the chopping block cart. Perfect for a kitchen without much counter space. What a stunning cake! I've always wanted to make a Buche de Noel, but I'm nervous! I would serve an extra special cheese platter with fancy cheeses, marcona almonds, and fig jam! Such lovely craftsmanship! The question is not what would I prepare on that b-e-a-utiful cutting board, the question is what would I NOT prepare? Obviously it is well suited for chopping vegetables for a scrumptious teriyaki stir fry, and dicing onions for a thick and smokey barbecue sauce...but imagine how it would sing under a finely honed serrated edge and a crusty loaf of sourdough bread! I would serve flatbread slices on it as an appetizer. Beautiful. I would also love to have his KY Coffee Tree 4 Compartment Jewelry Box. i would serve a mountain of christmas cookies on it!! i love the Walnut Entryway Table! I really loved the cutting board with these dimensions. The patterns look amazing. 9 3/4* 8 3/4* 3/4* :) Thanks so much! I would love the walnut side table in my living room! First this cake is the amazing. You make it sound so easy. Your artistry is beyond fabulous. That cutting board would be perfect with my bacon wrapped puff pastry twists! I would serve various cheeses on this board! It's gorgeous! Amazing cake! I would serve all kinds of things on the cutting board, like a cheese platter, appetizers, or desserts. Would love to have Matt's entry table. His work is beautiful! That board is beautiful! I'd love to serve chocolate-covered strawberries on it. I love this cake...for some reason I like it so much more than a regular buche de Noel! I think I would have to put some kind of dessert or appetizer on it. Loving the coffee tree 4-compartment jewelry box on Matt's site. So beautiful! Amazed at the detail on those mushrooms, as well. They look real! I would serve a hummus plater with many tasty foods. Love the board. That is the most gorgeous cutting board I've ever seen. I would serve a cheese plate with sugared cranberries and dried apricots on it, and then follow that up with a display of my hand dipped chocolates. The varied colors of wood would look so great with a mix of milk and dark chocolates. I also really love the organic shape of the cutting board with rounded edges. The spalled wood cake tier is perfect with this cake. Your creations are always so beautiful and inspiring. I am loving the baked treats advent! I love that cake and the cutting board! It would look great on my countertops as well as being put to good use in my kitchen! Hehe. I love your answer. I love the cutting board--I would serve bread on it! I would love anything from his site! The table is amazing!! I would serve cinnamon star bread (featured on King Arthur Flour website). It would look amazing on such a beautiful board. I love his end grain chopping block. The contrast of the woods is beautiful. I would put an assortment of cookies on it! 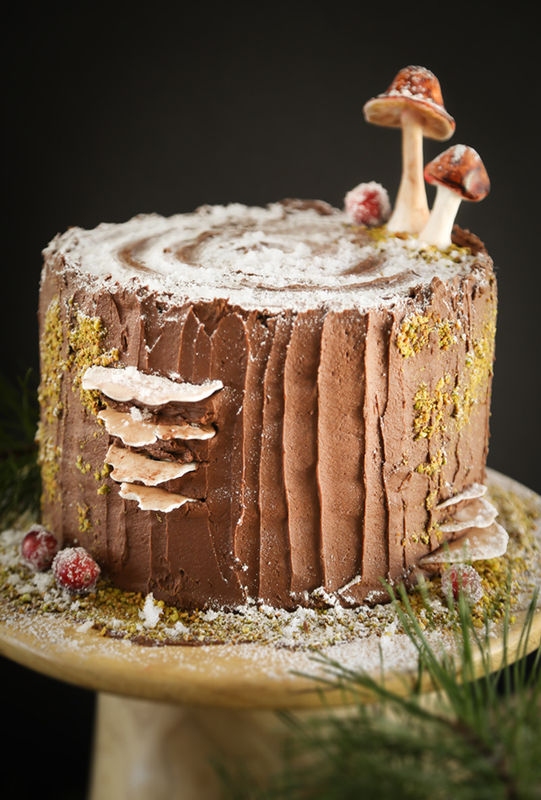 I would put mini almond decorated pine cone cheese balls placed on a bed of herbs, love your mushrooms on this cake! Wow! This cake looks just stunning! the jewelry box with four compartments is beautiful! Thank you so much Heather! We are so proud of you as well! You are an inspiration! Thanks for all the kind words and happy thoughts! If anyone has any questions about any products feel free to contact us. You can also visit our website at www.ridgerunnerwoodworks.com There's a few new items on the website not yet on ETSY. Thanks for supporting those who have a passion to create! wow! both the cake and cutting board are beautiful! I've yet to make a cheese plate but with that beautiful thing I totally would! Love the cutting boards. I'd use them to serve some game day snacks on. In a more upscale manner. I would serve the most 'upscale' cheese platter a 22 year old has ever laid eyes on! All Trader Joe's cheese, of course... plus copious amounts of wine. The walnut entryway table would look perfect in my apartment! The cutting board is gorgeous! I can see a beautiful layout of cheeses displayed on it! I can't imagine chopping on that beautiful board but I would serve the Black Forest dome cake on it; we bake one up for the first day of winter, to celebrate the deepest, darkest night of the year. I would love to do a cheese plate on this, it is gorgeous! I'd love to serve a gorgeous cheese board on this! The cherry/walnut box is also a gorgeous display piece! What an amazing cake! Looks delicious! All of the cutting boards are so beautiful, I wouldn't be able to choose just one. What an amazing cake! It looks delicious! 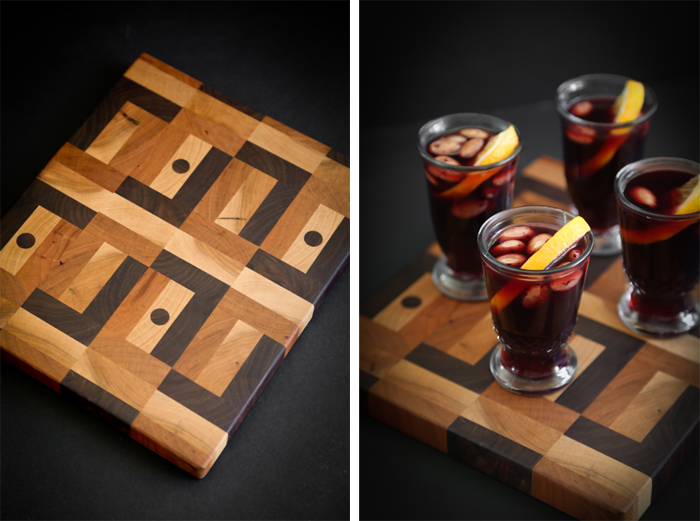 All of the cutting boards are so beautiful I wouldn't be able to choose just one! I would probably start with cheese and go from there. Beautiful board! I would use this beautiful cutting board for challah's at Shabbat and holiday dinners! What a gorgeous cutting board! I'd love to serve a cranberry brie on it, or a selection of bite-sized chocolate desserts like truffles. It would make the entire presentation amazing! Your mushrooms are incredible. At first glance I thought they were real! The End-Grain Chopping Block Cart in the Etsy shop is beautiful. I love the pattern on the top. The fact that it has an extra fold-down shelf is great, especially for people like me who don't have a lot of kitchen space. We have an annual cookie party that needs some extra pizazz like that for displays! Love it! I love to make homemade pizzas and usually need something big to serve and slice them on. I think this cutting/serving board would be perfect. Also the endgrain chopping block on Matt's etsy shop site is absolutely incredible and I'd love to one day be able to afford it! I think I'd have to do a cheese board, complete with almonds, olives, honey, figs, and more. Also love the inlay coaster set in the etsy shop! I'd likely save it serving cheese course on. Beauty!! A gorgeous board like this one just screams cheese board for a dinner party! The chopping block cart is killer! I would love to serve my mom's famous chocolate meringue pie on this beautiful board! Good luck, everyone! My mom's wonderful chocolate meringue pie! Sorry if this posts twice, I don't see my comment and want to make sure I'm entered. Good luck, everyone! 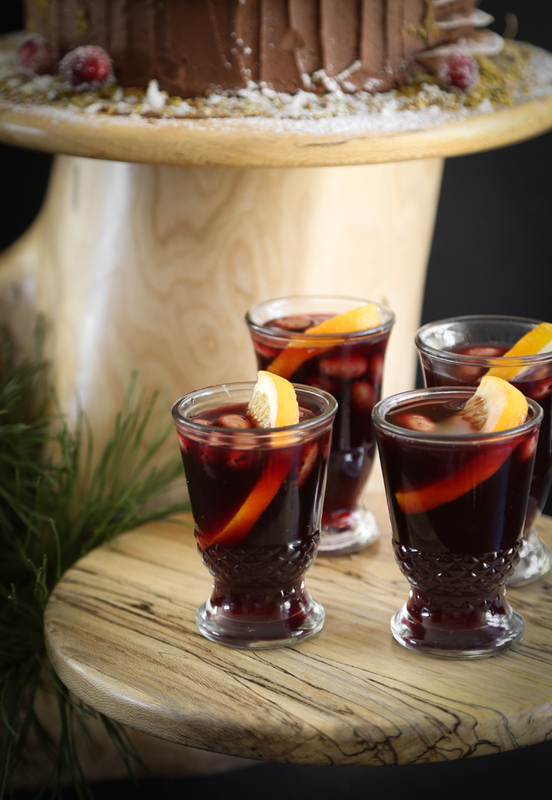 echoing the above - fill it with some great cheese for both casual and holiday gatherings! Oh man - Katie (in the comment above) nabbed my cheese plate! Well, I'm sticking to it. Many cheeses, and nuts and salami and... YUM!!! This is so pretty! I would make bruschetta to put on the beautiful cutting board! I would use it for a fun dinner party as part of a bar sideboard for cocktail napkins, accoutrements and add ins for my favorite cocktails! Gorgeous woodworking, and a treasure. wow, your cake looks amazing! They made similar ones(yours is way better lol) on this baking competition I watched recently, and a lady also used crushed up pistachios as moss! clever! your mushrooms are awesome!!! I love this forest-like cake. I would love to put a juicy prime rib roast on that cutting board with Yorkshire pudding and rosemary sprigs to add fragrance and color! I think I'd give it double duty: a nice crusty loaf with dinner, then a cheese assortment after. I visit the website and love the lap top desk. In my dreams, I'd give my boyfriend one of Ridge Runner's gorgeous humidors! Thanks, Heather! This cake is gorgeous... I'll make it for New Year's! The board is too beautiful to cover up...sorry. I would arrange against a wall in the kitchen, add a sprig of holly. Your cake looks fabulous! I love the cutting board - its beautiful. I'd serve my butternut squash, dried cranberries and goat cheese topped crostini appetizers. YUM! It'd make a great display!! What a gorgeous board! I would use it to serve my fresh baked bread! Thank you for the wonderful giveaway. I love the Spalted Beech and Curly Cherry Table! After perusing the Etsy site I absolutely love the lighter wood chopping block that is shown. I would definitely put enjoy using it! I'd make a cranberry Christmas cake! That board is amazing (so is the Stump de Noel)! I think that I would use the board as a serving tray - it's so pretty it needs to be on display! 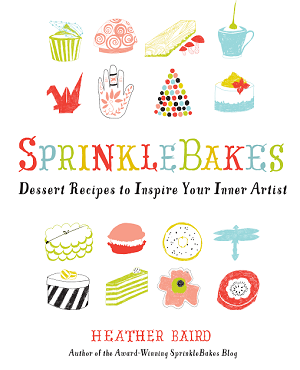 I'd use it to plate all my fancy, small desserts! I'd use it for cheese! I would serve a cheese ball or something just as yummy on this! I'm learning to make sushi and sashimi and so far it isn't pretty. But if I served it on that beautiful end grain cutting board everyone would be distracted by the wood patterns and not notice my raggedy sushi. After visiting the online shop, I see Matt offers sushi serving trays. But I've got to say the natural edge serving trays caught my eye; they're so reasonably priced that I could afford several! This board is gorgeous! I would use it for serving cheese and crackers or small appetizers. Thanks and Merry Christmas! I would serve my husband's famous (in our family and circle of friends) rum cake on this. I would also love to have the LAPTOP DESK. The Walnut Hall Table from the website is so beautiful! I am in need of a new cutting board as my old one fell apart right down the middle. So, now I have two small boards that are definitely not as beautiful as the one you are giving away. I would serve cheese and fruit on it to my kids as an after school snack. I would use this wood board for charcuterie! First of all, I would like to say it is an amazing website, very informative and I will try to mimic your creation of Mulled wine stump de noel cake (finger cross). The cutting board is so pretty. I could use that for different cheeses. Thank you! I love the oak man bowl on Matt's website. I'd like to use this board to display my favorite chocolate cake! I would use this to serve a fabulous cheese board!! Yum!!! 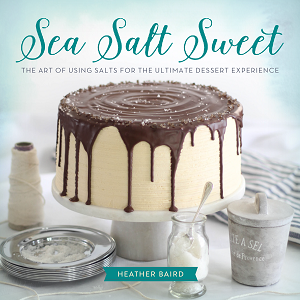 I would use it to display my holiday Italian Cream cake. The End Grain Chopping Block Cart on Matt's site is breathtaking! That board is beautiful! I'd use it for serving at parties- it'd be gorgeous for an appetizer spread or for pastries at brunch! What a beautiful cutting board! I'd use it for serving charcuterie and cheese. Yum! PS: That end grain chopping block cart on his etsy page is a work of art! WOW! This would be the perfect plate for a cheese, compote, bread and crackers plate! A great way to showcase some delicious food. Assorted Fruit, cheese and breads/crackers! Love the End grain Chopping Block with Knife Holder! Oh this looks so yummy and so perfect my friend!! I wish I could come up with something more original than cheese and crackers, but I know that I would LOVE to hang that beauty on my kitchen wall and have it ready for ANYTHING! I love that $$$ chopping block cart! That is phenomenal! Those coasters are just too cute too! It's so hard to choose. For the record, I wish you were giving away the cake too, because no matter how well I do, I could never duplicate that as beautifully. I'm still going to try. Wish me luck. Thanks for this post! On this beautiful cutting board I would love to serve a fabulous array of cheeses at a festive and sparkly holiday party! That beautiful cutting board is calling out for a few nice cheeses and some fresh nuts and dried fruit! Such a lovely board - I'd love to use it to serve an antipasto spread! I love the Inlay coaster set! 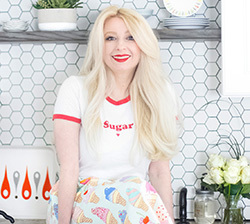 I visited the site and was blown away by so many beautiful things, especially that gorgeous kitchen cart. Gorgeous cake and board! If use it for cheese and crusty bread as a cheese platter. I would serve cheese, crackers & salami on it. Love the stump de noel - great idea instead of fussing with the log. But that cutting board is so lovely. I'd make a large port plate, pop it in the center of my round dining table for all to enjoy! All of his end-grain cutting boards are lovely. Will leave the choice up to you. The cake stand is also amazing. Your lucky to have such talented friends. I love the end tables! I would use it to serve great cheeses and crackers for holiday entertaining. Really love the cake stand too! Me encanta el pastel espectacular, que clase de vino utiliza me gustaría saber, un saludo.